Share information about fiber optic! EVPN vs VPLS: What Are They? What Are Their Differences? EVPN and VPLS are two technologies that provide Ethernet multipoint services over IP/MPLS networks. And as everyone knows, VPLS has been available and widely deployed for many years. EVPN, however, is a new upcoming technology which is considered to be a more efficient and feasible alternative to VPLS. Even so, someone still configure VPLS on their networks and use it to good effect. Then what’s exactly the difference between EVPN and VPLS? Which one is better? This post will focus on EVPN and VPLS tutorials, and discuss EVPN vs VPLS differences. EVPN vs VPLS: What Is VPLS? VPLS, be short for virtual private LAN service, is a telecom carrier-provided service. It enables customer to create a logical LAN structure between geographically separate sites. 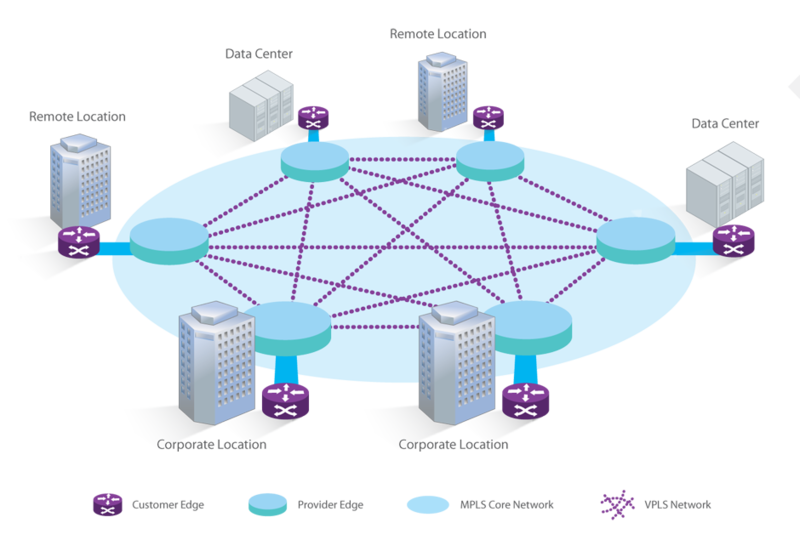 Actually, VPLS creates a virtualized data switch at the service provider, which links multiple remote sites together as if they were connected to a same physical switch. This helps a lot in simplifying network deployment and management, especially for data center interconnection. EVPN vs VPLS: What Is EVPN? Like VPLS, EVPN also provides virtual multipoint bridged connectivity between different Layer 2 domains over IP/MPLS backbone network. it is typically composed of customer edge (CE) devices (host, router, or Gigabit Ethernet switch) and provider edge (PE) routers. The PE routers often include an MPLS edge switch (MES) such as a 10GbE switch, which acts at the edge of the MPLS infrastructure. The following is a typical EVPN deployment. Traffic from data center 1 is transported over the service provider’s network through MES1 to MES2 and then onto data center 2. 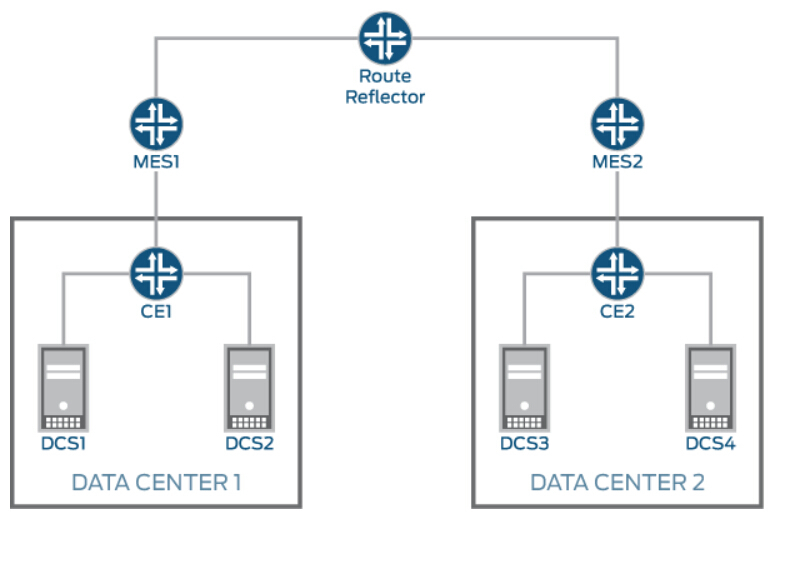 DCS1, DCS2, DCS3, and DCS4 are the data center switches. EVPN vs VPLS: What’s the Difference? VPLS features two kinds of signaling protocols: LDP and BGP. EVPN, however, adopts BGP as the only one service signaling protocol. VPLS only implements single-active solutions. EVPN implements two CE multihoming solutions: single-active (one active, N standby) and all-active (with known uni-cast per-flow load balancing). VPLS only supports data-plane MAC learning on its local Attachment Circuit (AC), which can easily lead to stale forwarding state. EVPN also performs data-plane MAC learning on its local AC, but it relies on control-plane MAC learning between PEs. This will reduce unknown uni-cast flooding and implement a flush mechanism in BGP. Though EVPN has much advantages than MPLS, it doesn’t mean it’s the best solution for everything. For example, VPLS is much less consuming in terms of control plane and it uses up more service MPLS labels than EVPN. In these circumstances, EVPN will not replace MPLS. EVPN vs VPLS, which will you choose for your network? When to Use Gigabit Ethernet Switch for Home Networks? AC Switch vs DC Switch: What's the Difference? I'm working in a company which is excel at optical products. What Is A Network Patch Panel? Why Use It? How to Buy It? OpenvSwitch and OpenFlow: What Are They, What’s Their Relationship?